TG was developed to make the calculation of transform coefficients easier – avoiding the need for large Excel spreadsheets. When used in conjunction with VPHOT to identify standard stars it reduces the time to generate transforms to less than half an hour. TG runs on both Windows and Mac computers. There has been some use under Ubuntu and Linux but no recent testing. While the program is written in Python no knowledge of Python is required. Specific installation instructions are provided below. For users knowledgeable in Python: starting with TG V6.3, TG runs under both Python 2.7 and 3.x. With the release of TG V6.3 the default installation was changed to Python 3.6. But users have the option to continue using Python 2.7. TG V6.4 adds support for Landolt Fields. When using Landolt Fields operation is slightly different since there are hundreds of fields. The user loads their instrument files, identifies the file format, and selects the Landolt Fields button. The software retrieves the RA/Dec of the field from the instrument file. (VPHOT and AIP4WIN automatically include this in the file.) If other file formats are used, TG will ask the user to enter the RA/Dec of the Landolt Field. When a Landolt Field set of transforms is saved, it is given the name “LF HH.H+DD” where HH.H is the RA hour angle and DD is the declination. This label appears on the menu showing multiple sets of transforms. Prior to running TG, users acquire images of a standard star fields using different filters. These are processed with a photometric software package such as VPHOT, AIP4WIN or MaxIm. The output files contain star identifiers and associated instrument magnitudes. After starting TG, users enter the name of their telescope, select the standard star field used and load the instrument magnitude file(s). TG calculates all transform values. Users can analyze each transform by plotting the raw data along with the linear fit calculated using the transform value. Outlier data points can be removed by users interacting with the plot. After reviewing each transform, users save the entire transform set. Subsequently users can examine and compare saved transform sets. They select the best sets and average them producing a master set of transforms. This master set is saved to a file which can be printed or loaded directly into AAVSO’s Transform Applier (TA) tool. TG requires the use of Python along with several additional libraries. 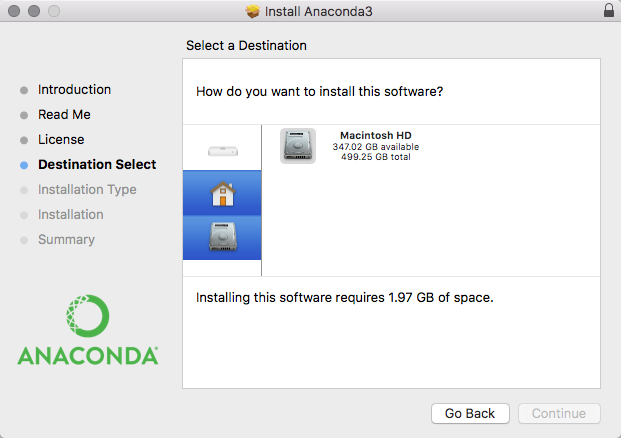 For both Mac and PC’s the simplest installation method uses an integrated set of Python software libraries known as Anaconda (https://store.continuum.io/cshop/anaconda/). Following the procedures below will ensure all necessary software is installed on your computer. Execution of TG requires an active Internet connection. Updating an existing TG installation: If you previously installed TG, installation only requires you copy the TG_V6.4.pyw file downloaded above into the Photometry directory. To create a new desktop icon to start the program, navigate to the TG_V6.4.pyw file using Windows Explorer. Right click on the file name, and select “Send to” > "Desktop (create shortcut)". Installing into Existing Python Installations: There are many different Python installation alternatives – not fully compatible with each other. If you have one installed, try to run TG in that environment. 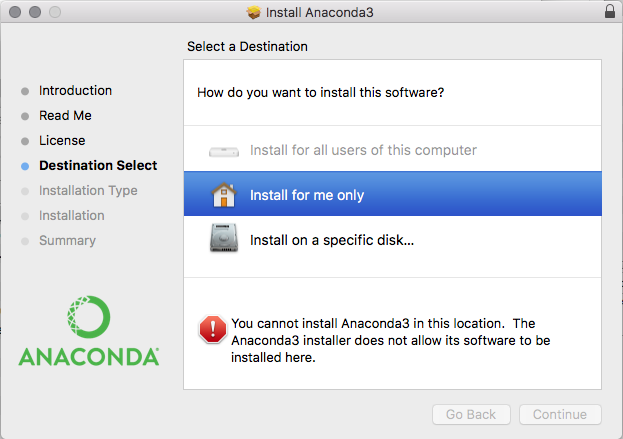 If it does not run successfully, the best approach is probably to do a clean installation using the Anaconda environment below. New Installations: TG runs with the standard Python suite known as Anaconda. Starting with TG V6.3 the default download is Anaconda 5.0.1 available at https://www.anaconda.com/download/ . Select the Python 3.6 version., accepting defaults, EXCEPT be sure you install for “All Users” – not “Just Me”. This will install Anaconda into the folder c:/ProgramData/Anaconda3. After successful installation of Anaconda, navigate to c:/ProgramData/Anaconda3 using Windows Explorer and create a new subfolder “Photometry” – e.g. c:/ProgramData/Anaconda3/Photometry. Copy the two files downloaded earlier - TG_V6.4.pyw and M67_T17_20140330_Photometry_Demo_instrument_mags.txt - into the Photometry folder. Then create a desktop icon to start the program by navigating to the TG_V6.4.pyw file in c:/ProgramData/Anaconda3/Photometry; then right click on the file name, and select “Send to” > "Desktop (create shortcut)". Double click the icon to start the program. If Windows requests you identify what program to use to execute TG_V6.4.pyw, navigate and select c:/ProgramData/Anaconda3/pythonw.exe. You will need to scroll down all the installed apps and at the bottom select the option to open explorer where you can navigate to the c:/ProgramData/Anaconda3 folder and select pythonw.exe. The program you select is automatically used in the future. FYI, when you start the program with the icon the first time, it may take 15-30 seconds to start – be patient. For operational details see the TransformGenerator_V6.4_Users Guide. Updating an existing TG installation: If you previously installed TG, updating to V6.4 only requires you copy the TG_V6.4.pyw file into the Photometry folder. Then create a new desktop icon for the Mac. Refer to the paper Create Mac Icon to Start TransformGenerator V6.4.pdf. Also, note it can take over 15 seconds to launch the program. Please be patient. New Installations: TG runs with the standard Python suite known as Anaconda. Starting with TG V6.3 the default download is Anaconda 5.0.1 available at https://www.anaconda.com/download/ . Select the Python 3.6 version., accepting defaults, EXCEPT be sure you install for “All Users” – not “Just Me”. This will install Anaconda into the folder /Anaconda3. 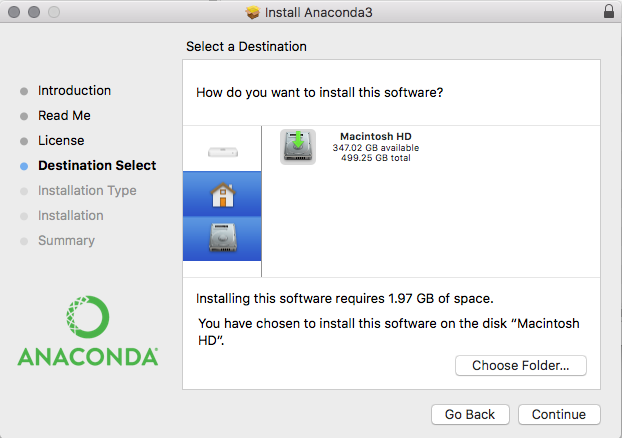 The Anaconda3 folder will be placed on the Macintosh HD drive as a top-level folder. The installation process will continue to completion. After successful installation of Anaconda, navigate to /Anaconda3 using Finder and create a new folder “Photometry” – e.g. /Anaconda3/Photometry. Copy the program TG_V6.4.pyw and the demonstration file M67_T17_20140330_Photometry_Demo_instrument_mags.txt into the Photometry folder. Creating a new desktop icon for the Mac takes a little extra work. Refer to the paper Create Mac Icon to Start TransformGenerator_V6.4.pdf. Double click the icon to start the program. Note it can take over 15 seconds to launch the program. For operational details see the TransformGenerator V6.4 Users Guide. Correction to properly handle multiple VPHOT files containing both “True” and “False” measurements of the same star (usually caused when stars are saturated in some images and not others). Changed 3 sigma error lines on plots (which had been based on the Transform slope error) to 2 sigma error lines (based on the “y axis” variance between measurements and the linear transform fit.) This gives the lines more physical meaning – in theory 95% of all measurements will be within this 2 sigma error band. “Original Fit 3 sigma” line on plots changed to “All Measurements 2 sigma” line. Users see the 2 sigma error line calculated using all measurements (e.g. both active and inactive). (In addition the error lines calculated using only the currently active measurements are displayed). TG internal software changed to support new VSP API. This is a mandatory update. Previous TG versions will not run when the new VSP is released (within a few weeks of mid-August, 2015). Transform Generator (TG) was conceived and written by AAVSO member/observer Gordon Myers in response to a need for an easy-to-use program which aids observers computing their transformation coefficients. Ken Menzies, George Silvis, Richard Sabo and Matt Craig provided valuable advice and testing of the program.